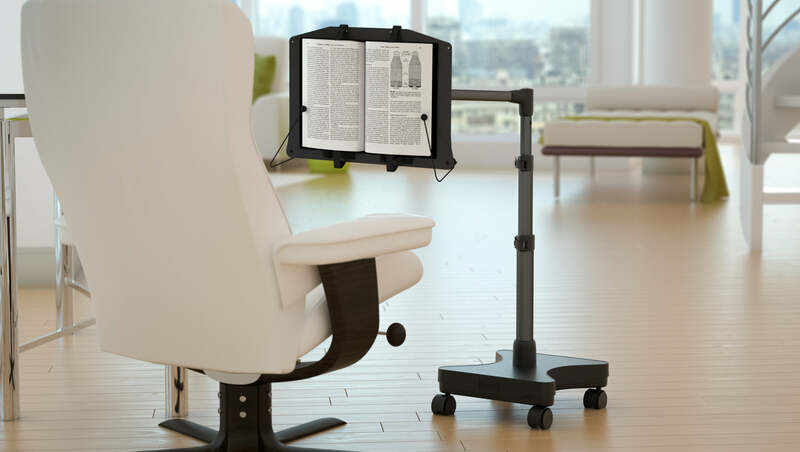 Add this Book Kit to your LEVO Laptop Floor Stand to transform it into a rolling book holder floor stand. 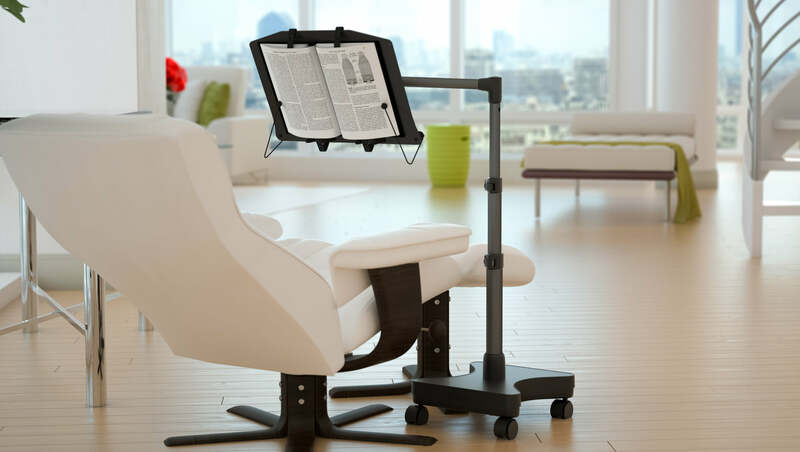 Your LEVO will then hold books and laptops. Our method of holding books has been proven for over a decade. Your book gets secured to the Platform so you can tilt your book to any angle, even upside down. When you don’t need the Page Holders, they collapse underneath the Platform to make room for your Laptop. I have a Levo stand for my iPad, will this book kit allow me to use it for books? 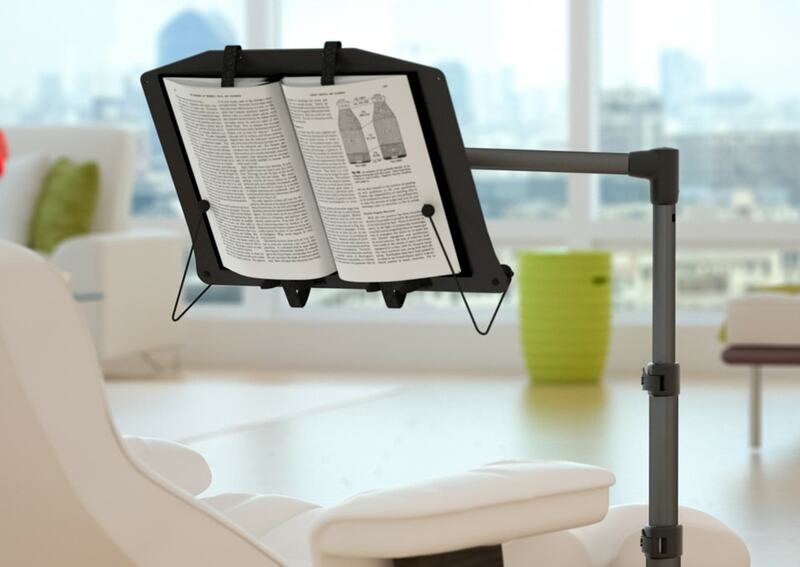 The book stand has been awesome - I have used it to read books as well as things on my laptop while I am on my treadmill. 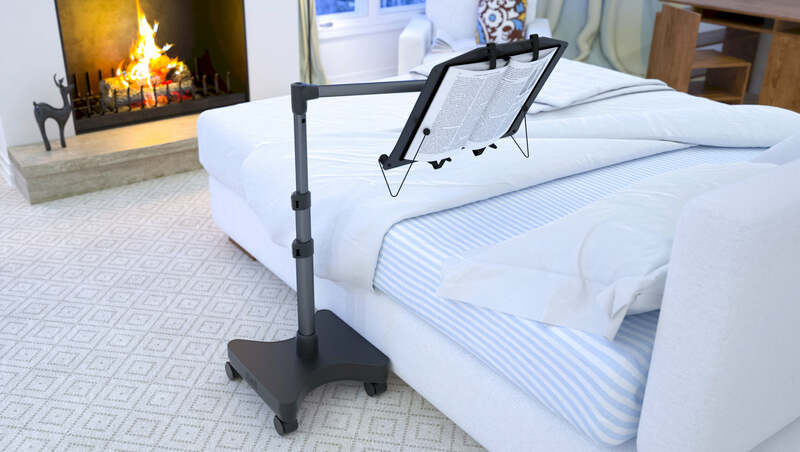 LEVO Deluxe Laptop Floor Stand with Book Kit - GREAT! 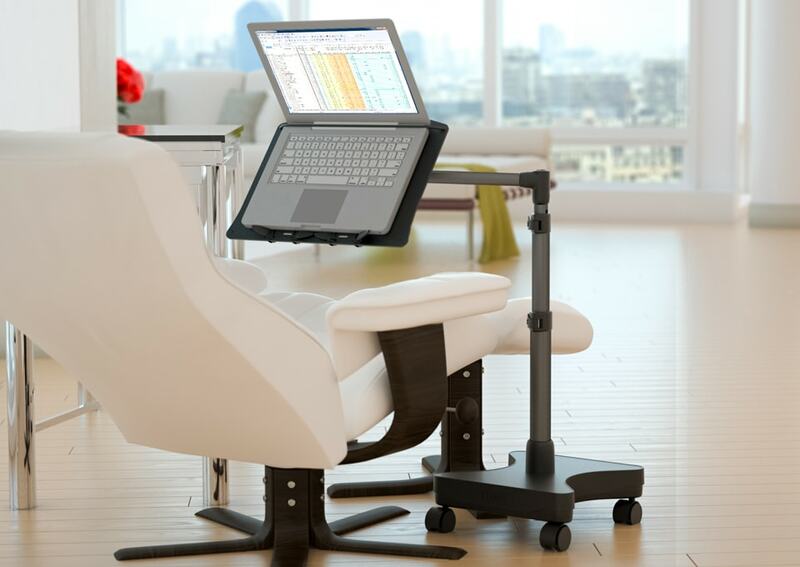 I purchased the LEVO floor stand several months ago when my chiropractor recommended that I get something to allow me to elevate the laptop and thereby avoid dropping my neck. I absolutely love the stand. I use it daily. I roll it from living room to bedroom and back again daily. I also used the stand for books, but found that doing so meant I had to keep both arms elevated on the stand to keep the pages from turning. So I went looking for the Book Kit. Now I can put a book on the stand, use the small arms to hold the pages down until I am ready to turn a page and keep my arms in my lap. What a joy! I am delighted to have found LEVO and I recommend the company highly. They have great products! 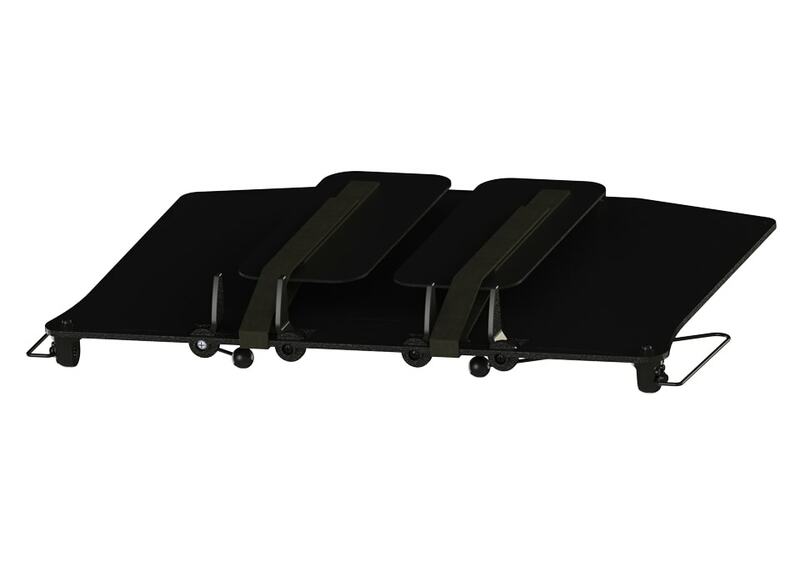 I love the laptop stand but have concerns on the manufacturing of the parts. There didnt seem to be a quality check with the parts. I say this because a few of the parts seemed to have extra plastic on them which must have bled out of the mold used to form them. This resulted in parts of the stand that did not want to join together. Took significant effort from this 6'4" 230 pound guy (with a maintenance background) to sand the parts down then force them together. I cant imagine that many of your customers would have been as successful. I was on a crunch to study for finals and the stand took a long time to ship here, so sending it back was not an option. I also feel that your prices are a little too steep compared to your competitors. 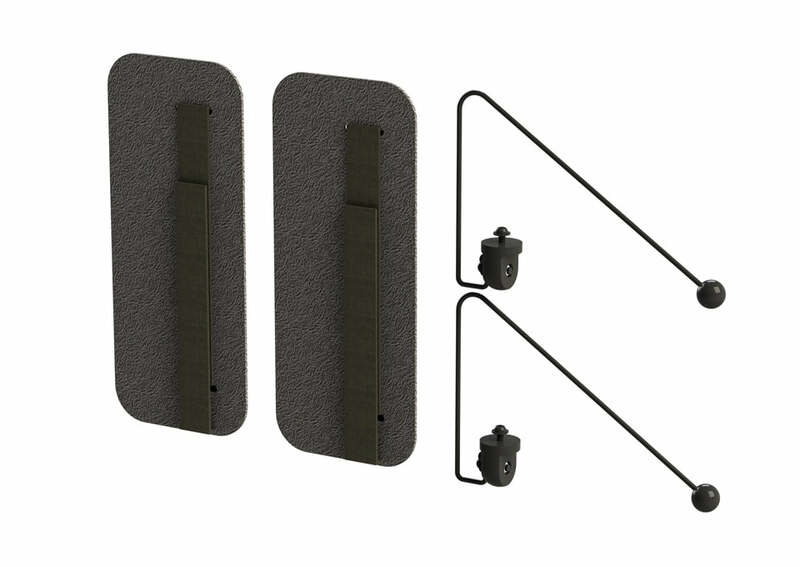 With all of that said, I find your products to be absolutely fascinating and very similar to what I had in my mind that I wanted as a solution to my back and neck pain. I will recommend your products but your price point probably will deter most. To wrap up, I recommend better QA of plastic parts, an option for expedited shipping, and consider lowering price of products. Thank you!